While I was in NYC at the KidzVuz Back to School event, I got to meet some people from the Lysol Team. They passed on a few simple tips tips to help set you and your kids up for success this upcoming school year! 1. Wash those hands: To help reduce germ spread, children should wash their hands after using the toilet, coughing, sneezing, blowing their nose, playing outside, touching or handling class pets, and whenever their hands look dirty. Remind your little ones to use warm, soapy water and to scrub their hands for 20 seconds (about how long it takes to sing “Happy Birthday” twice). 2. Shake it out: According to the CDC, children and adolescents should participate in 60 minutes or more of physical activity each day. Walking, dancing, skipping rope, and playing outside are all great options! To make it more fun, play some music or turn it into a game! 3. 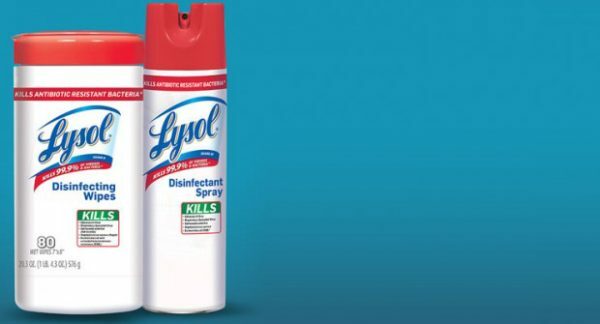 Stock Up on Supplies: Help keep your little ones germ free at school by donating Lysol Disinfecting Wipes to their classrooms! Teachers will love that they can banish 99.9% of germs and bacteria on tables, desks, cubbies, and doorknobs, and you’ll love that your little ones’ classrooms are clean and germ-free. The Lysol site has a great section of Healthy Schools & Classrooms. Great tips and ideas (not just about their products! ).